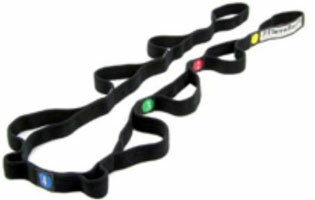 The Thera-Band Stretch Strap is a revolutionary replacement to static stretching devices. It supports traditional static stretches and introduces more effective dynamic stretches. This stretch strap helps to improve flexibility and range of motion during rehabilitation and can be used to maintain a good musculoskeletal health.